Make sure the clip you're working with matches the sequence it's in. 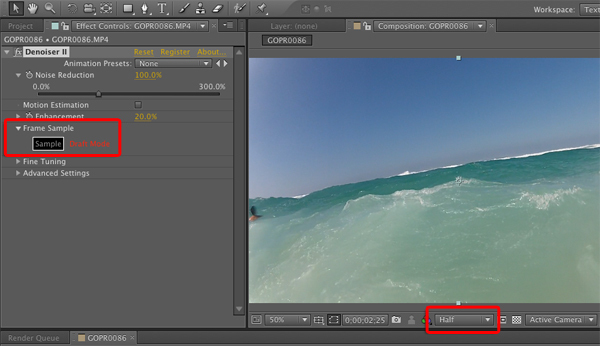 For example if the clip is 23.97fps, make sure the sequence/composition it's in is also 23.97. 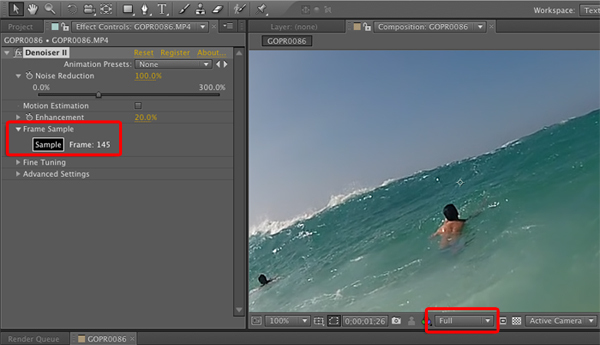 If it isn't, either adjust the sequence/composition settings to match the clip, or try nesting it into its own sequence/composition. Ensure the Viewer is set to 100% zoom level. You may not be able to see the entire frame, but you will see that the image is denoised. 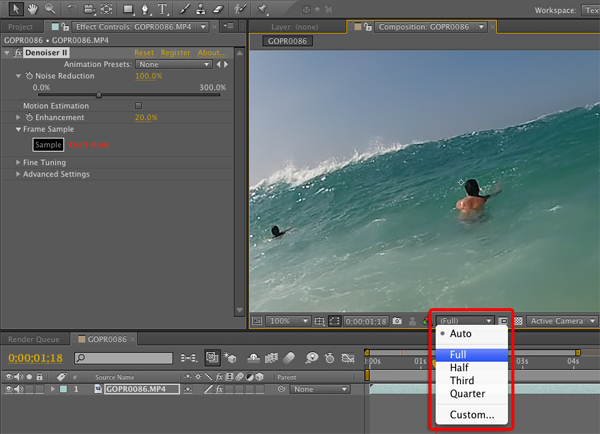 In After Effects, click 'Resolution/Down Sample Factor Popup' menu (this is between 'Color & Channel Management Settings' and 'Region of Interest' in Composition window). 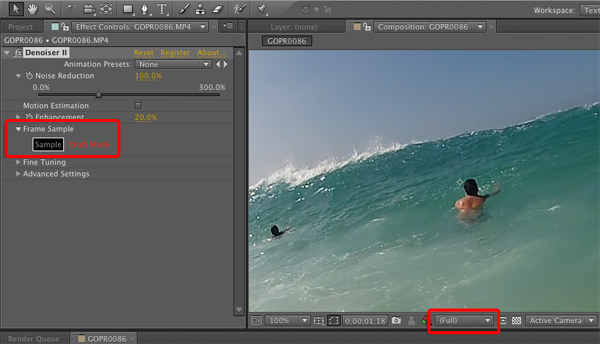 Move playhead in Comp or click the 'Sample' button in Denoiser II's Effect Controls window to exit Draft Mode. Choose 'Full' option from Resolution drop down menu. Move playhead in comp or click 'Sample' button to exit Draft Mode.